There are many KB from sophos xg, sophos utm, cyberoam and astaro, however nobody know the righ way for configure this feature. was including open many tickets on sophos support without sucessfully. after long time collecting and testing many sophos kb i'm developer my procedure and work really good. GUI:Go to Start Administrative Tools > Group Policy Management. 3.Expand Computer Configuration > Policies > Administrative Templates > Network > Network Connections > Windows Firewall > Domain Profile. 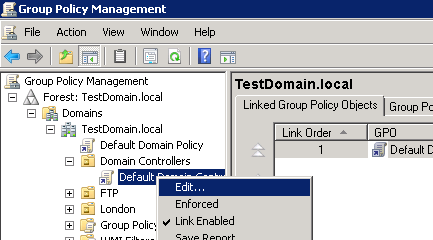 Select Domain Profile if the management console is in the domain; otherwise, select Standard profile. Double-click Windows Firewall: Allow inbound remote administration exception to open its properties window. Select Enabled to enable the Windows Firewall Rule and click OK to save the settings. You can also lock the incoming IP addresses down to only allow the queries from the your Domain Controller IPs, if desired. Enable the Success and Failure logon events, as shown in the screen below. Type the command gpmc.msc, and click OK. 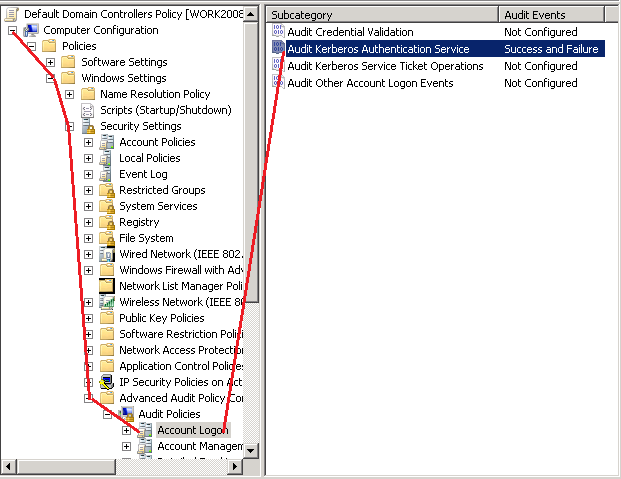 Expand the domain node and Domain Controllers OU, right-click on the Default Domain Controllers Policy, then click Edit. 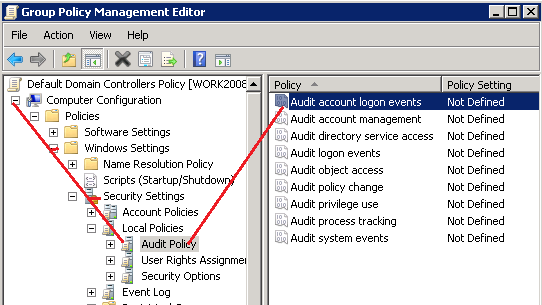 Expand Computer Configuration node and Security Settings and navigate to the node Audit Policy (Computer Configuration->Policies->Windows Settings->Security Settings-> Advanced Audit Policy Configuration -> Audit Policies->Account Logon). 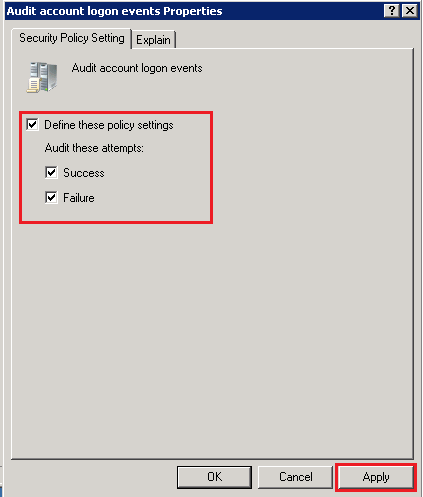 In right-side pane, double-click on Audit account logon events and set Success and Failure setting to enable kerberos logon event 4768. Run the command gpupdate /force from command prompt to update Group Policy settings. When performing the test, STAS displays the "remote procedure call failure" error, to solve the problem follow the procedures below. The user profile is a collection of settings that make your computer look and function the way you want it to. It contains settings for desktop backgrounds, screen savers, pointer preferences, sound settings, and other features. Due to this variety of personal settings and changes caused by other programs can happen to corrupt the user profile or malfunction in the use of the system, so the need for a new profile. 6. Add the name to the new profile and add it as administrator. Test and see if the behavior repeats, if the behavior continues, perform the next procedure. Clean boot is used to determine if a background program is interfering with the system. In the task manager window on the boot tab, disable all non-Microsoft programs, close the task manager, and then click ok in system setup and restart the computer if prompted. NOTE: This disables all third-party services and programs. You can later, if the problem is solved in this way, enable the programs and services that will be started with Windows selectively instead of keeping them all disabled. If the problem comes back after enabling the initialization of a specific service or program, the problem is exactly with that software and it is advisable to remove it. If the behavior continues, perform the next procedure. Run Dism and Scannow repair tools. These tools are diagnostic and aid in the repair of the system image. Press the Windows + X keys, select Command Prompt (Admin), copy and paste the commands below and press enter after each command. Chkdsk.exe is the command line interface for a program that checks the logical integrity of a file system in Windows. When CHKDSK encounters logical inconsistencies, it performs actions to repair file system data as long as it is not in read-only mode. Click Start, on the search bar type CMD right-click on the application and select the Run as administrator option. Now copy and paste the command below. Note: You will receive a message that "CHKDSK can not be run because the volume is in use" press S to confirm and press Enter and restart the computer. Before starting the operating system will check, this procedure may take a few minutes wait until it is finished. Test again and see if the behavior repeats itself.